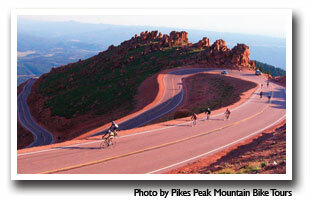 Pikes Peak Tollroad starts at Cascade and winds 12.42 miles to the summit of Pikes Peak. Expect to spend approximately two hours round trip to the top and back. There is a toll to drive the highway ranging from $5 to $50 May-November and $5 to $35 December-April. 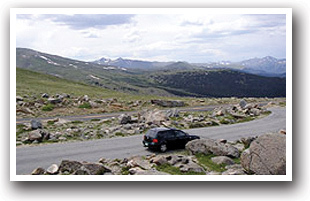 Those who have National Park passes will still have to pay the toll, as it is not a designated National Park. The highway may be closed during winter for bad weather. If the family is getting restless, a good stop along the way is at Halfway Picnic Grounds. There are other picnic areas along the byway to stop at so if you want to stop earlier or later, you can. Activities to do along the way include fishing in Crystal Creek Reservoir and hiking at various trails. 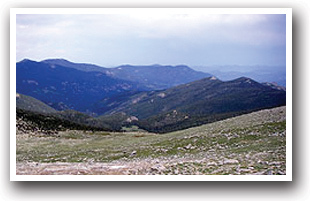 While you cannot hike along the highway, you can hike up to Pikes Peak along Barr Trail. Take the necessary precautions with this method; visit our Colorado Fun Facts page for Helpful Hints on altitude awareness. No matter how you journey this spectacle of the Rocky Mountain region, Pikes Peak will energize and refresh your spirit. This truly is, as Katherine Lee Bates described, "America the Beautiful." Location: From I-25, turn west onto US 24. The Tollroad starts just outside of Cascade.